One of the best things we can pray for each other, and for ourselves, is that we might better know God. The Holy Spirit helps us better know God (1 Cor. 2), worship God (John 4), and speak to God (Rom. 8). 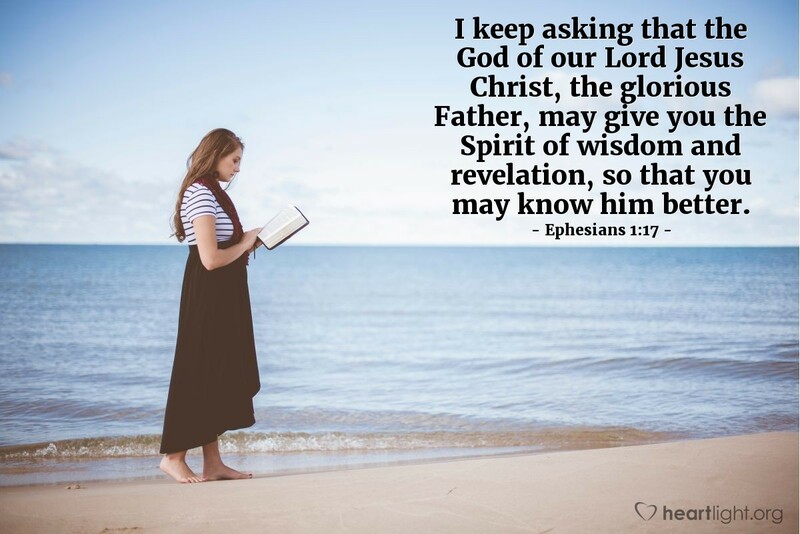 Let's ask God to use his Spirit to help us know him, not just know about him. God is not only the Almighty Creator of all things; he is also our Father who cares about us deeply. Holy Father, God of all mystery and glory, please open my mind and heart to know you better through the presence of your Holy Spirit within me. Please bless my physical and spiritual family with insight and illumination about you, your love, and your glory. We want to know you more fully and reflect your character and grace more completely. In Jesus' name I pray. Amen.